Rusty Rocks Farm Alpaca @ The Dover Antique Mall is an alpaca farm located in Dover, Pennsylvania owned by Holly Stephens . Welcome to my yarn farm! We have a small herd of 10 huacaya. Champion blood lines producing quality offspring! Farm visits by appointment only! 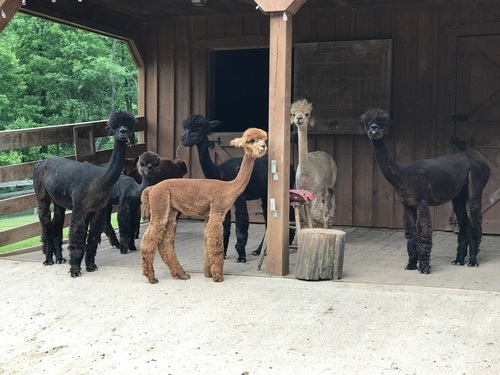 We are an Alpaca farm located in Dover, PA., a small town located between York and Harrisburg. 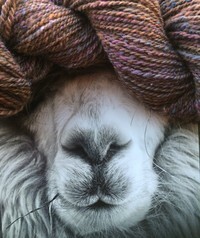 Specializing in Alpaca, Fiber and yarn! We welcome farm visitors and love to show visitors our farm. Please call us to schedule a visit 717-487-6166. Our farm is situated on 7 acres surrounded by farm and beautiful wooded forest. The name of our farm comes from the many rocks and rusty old items I seem to collect and decorate with at the farm. My journey to alpaca ownership started with knitting in 2002 and escalated to fiber frenzy in 2008 with the purchase of 4 female alpaca. 2 Maiden and 2 pregnant females. I started my farm as a fiber enthusiast which means purchase fiber boys or pets but I decided to breed, improve and produce. Owning alpaca has brought a lot of peace and joy to our farm. I truely love Alpacas and the lovely warm fiber they provide. I passionately hand process a lot of my Alpaca fiber into beautiful one of a kind pieces of art. Even though my first love was knitting, I became equally involved in hand spinning my own yarn. I now have a fiber studio (the barn) and a dye studio (the garage). I also weave rugs and scarves and shawls. The alpaca and their fiber quickly took over my life and is now what I do on a full time basis. I am also the chief mower, landscaper, cleaning lady and gardener...just to name a few. Farming and Fiber! Life is Good. Our farm has alot to offer anyone interested in learning more about the Alpaca livestock business. We can provide you with the knowledge of skirting and grading fleeces for the fiber mill or hand processing. Being a successful wool producer is knowing the best use for your fiber and how to make the most from your harvest. I can also assist new farms with my own personalized mentoring. Assisting with trimming toenails, herd health and my ultimate guide to fiber production! 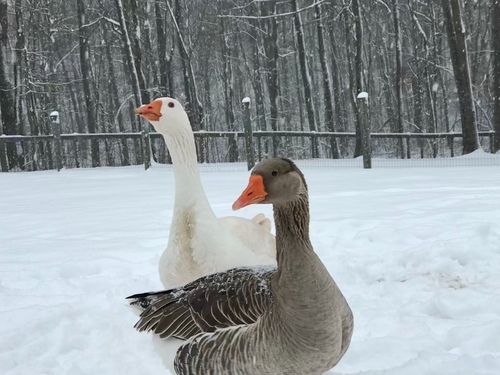 Although we do not offer boarding at our farm, we would be happy to keep them for a short time, until you were able to. I strongly feel that owning alpaca should be enjoyed at your very own farm. How else would you get to experience the full joy of ownership. Thanks for looking at Rusty Rocks!